FRANKFURT, Germany, Sept. 7, 2016 Star Alliance, the world’s longest serving airline alliance, is offering you the chance to embark on a Round the World trip of a lifetime. All you need to do is correctly identify the location of photos recently taken by selected travel bloggers on their individual Round the World journeys. To enter the competition, simply go to http://www.staralliance.com/en/whereintheworld and correctly identify the locations of our seven bloggers’ photos. If you need clues, click through to see the exciting places our bloggers are exploring and find out even more details about each of their itineraries. Submit your completed entry online by September 30th, 2016 and with some luck, you and a companion could soon be globe-trotting on a Star Alliance Business Class Round the World ticket. To enhance the winner’s travel experience, Marriott is offering the two travellers Platinum Elite Status in their Marriott Rewards loyalty programme. Benefits extended to these customers include, for example, room upgrades and complimentary breakfast (for detailed benefits see: https://www.marriott.com/marriott-rewards/member-benefits/platinum.mi). And spreading the word about the competition to your families, friends or acquaintances is easy; just use the social media sharing buttons available on the website. The new themed itineraries include: World Food, World Wonders, Architecture Hotspots, Nature Trail, Aquatic Wonders, Ramsar Wetlands, Natural Wonders, Great Hotels, Sports Hotspots, Wine Tasting, Romantic Journey and Luxury Lifestyle. Full details can be found at http://www.staralliance.com/en/web/staralliance/inspiration). Supporting the launch of the new Round the World themes, Star Alliance and Marriott International have jointly engaged seven travel bloggers to travel on a themed itinerary and report on their journey. Star Alliance is providing air transportation and Marriott hotel accommodation. Migrationology’s Mark Wiens is tasting culinary delights across the globe, Mapping Megan’s Megan and Mike Jerrard are on a Romantic Journey, True Nomad’s Justin Carmack is diving at underwater hotspots, Scott Eddy is tasting wines on six continents, Instagrammer Michael Schulz is photographing architectural wonders, and Cool Hunting’s Karen Day is on a whirlwind “Professional Gap Year” tour. Last but not least, Oneika-the-Traveller is exploring the wonders of the world. You can view all of their itineraries and learn more at http://www.staralliance.com/en/rtw-bloggers. Additional trip reporting, Round the World tips and further insights will also be featured at Marriott TRAVELER http://traveler.marriott.com/, Marriott’s online travel magazine, which brings the world’s greatest destinations to life through compelling storytelling, enlisting locals to share what makes their cities special, from culinary to culture, while introducing unique personalities and experiences that give a place its voice and reasons worth a visit. To facilitate booking these new inspirational journeys, the Alliance’s online Round the World booking tool, “Book & Fly,” was recently upgraded. New features allow potential travellers to choose the airport closest to their home as the starting point for their selected themed itinerary. Customers can also now share their selected itinerary through the various social networks. Further customisation by adding, removing or exchanging destinations is also now possible. The online booking tool can be found on the Alliance’s website at www.staralliance.com/en/book-fly and is available in English, German and Japanese. Customers can plan their Round the World journey from the comfort of their own home, 24 hours a day, 365 days per year. 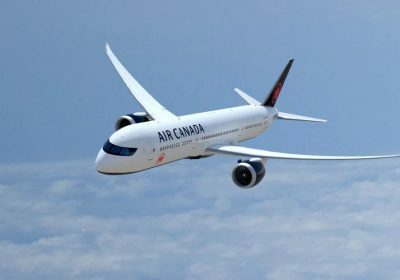 Alternatively customers can contact any of the Star Alliance member airlines or a travel agent for booking and purchasing a Round the World ticket. * see http://www.staralliance.com/en/whereintheworld-tc for full terms and conditions.